"Chad is thoroughly professional, intelligent, very pleasantly polite, and he has a really good sense of humor." 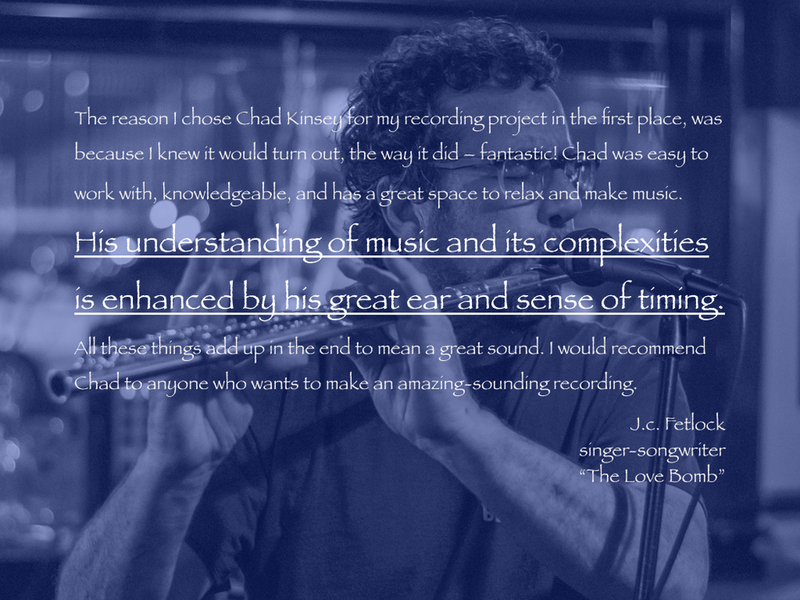 "Chad was always patient, professional, and passionate about getting the best sound for the piece." "The recording felt (and still does) like a true collaboration, stretching and expanding my own view of my music, and as importantly: it was fun." 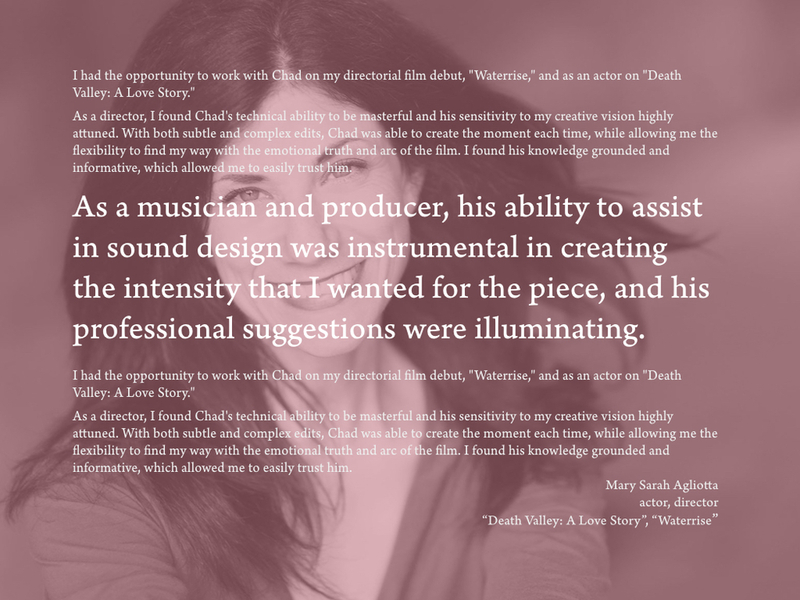 "I was lucky to work with Chad who has so much talent, breadth of experience, and professional work ethic." "As a musician and producer, his ability to assist in sound design was instrumental in creating the intensity that I wanted for the piece, and his professional suggestions were illuminating." "Passion for the process, uncompromising standards, keen attention to detail, and willingness to experiment are what really set him apart from others in his field." "Chad is dedicated to excellence and is an artist capable of thinking outside of the box." "The physical space, with its exposed brick walls & high ceiling, is impressive. He has chosen quality recording equipment and he knows how to use it." 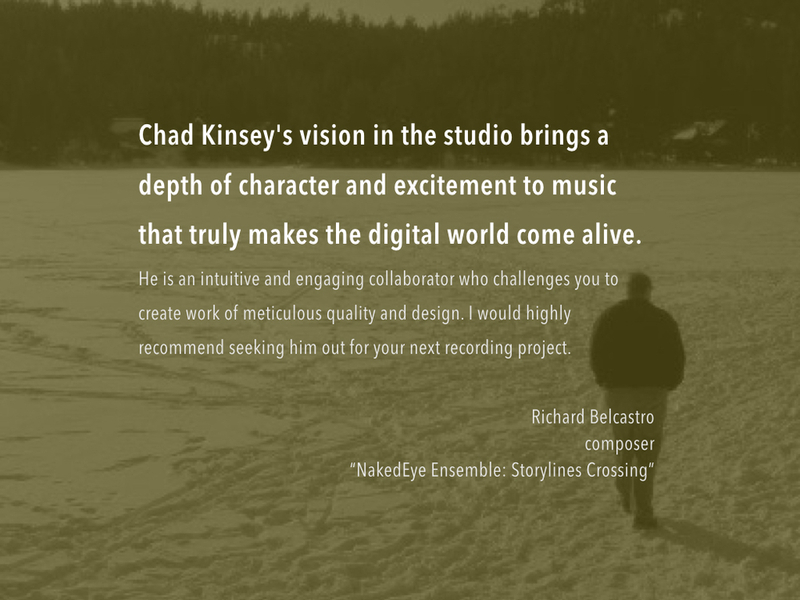 "Chad Kinsey's vision in the studio brings a depth of character and excitement to music that truly makes the digital world come alive." "Chad is relentless in his pursuit of quality and in his attention to detail in the studio." "His understanding of music and its complexities is enhanced by his great ear and sense of timing." 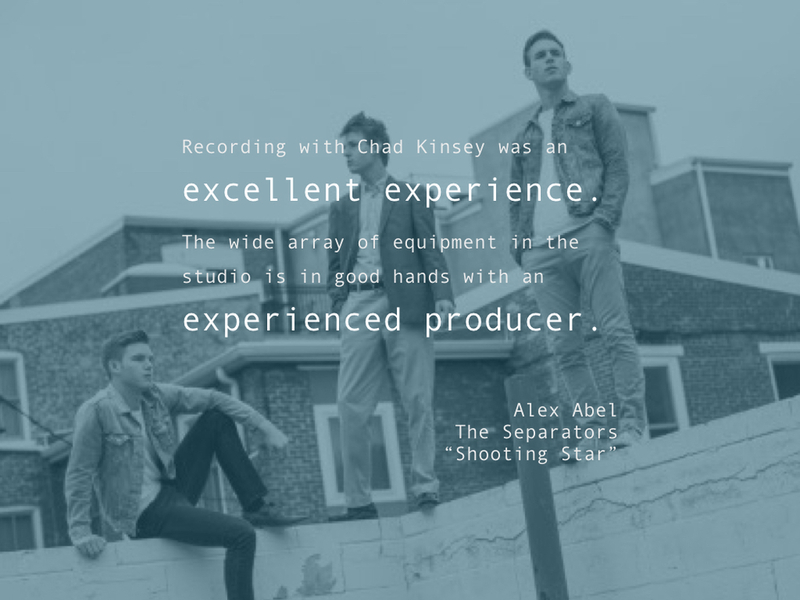 "Recording with Chad Kinsey was an excellent experience." "His instincts are superb, often producing ideas that would not have occurred to me, but that ultimately reveal more of the essence of the song I had written." 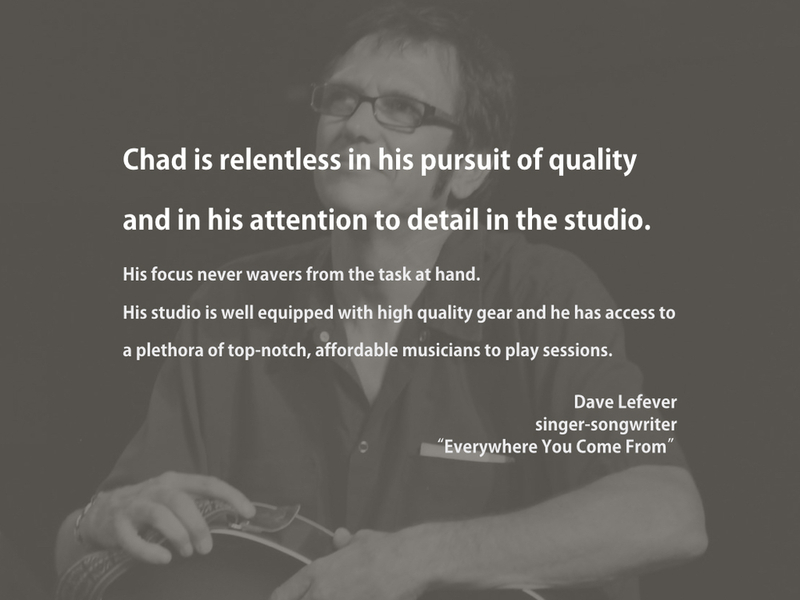 "Chad is great to work with, no matter what role you give him, whether it is producer, studio musician, engineer, songwriter, or even all at once! He is phenomenal in all aspects." 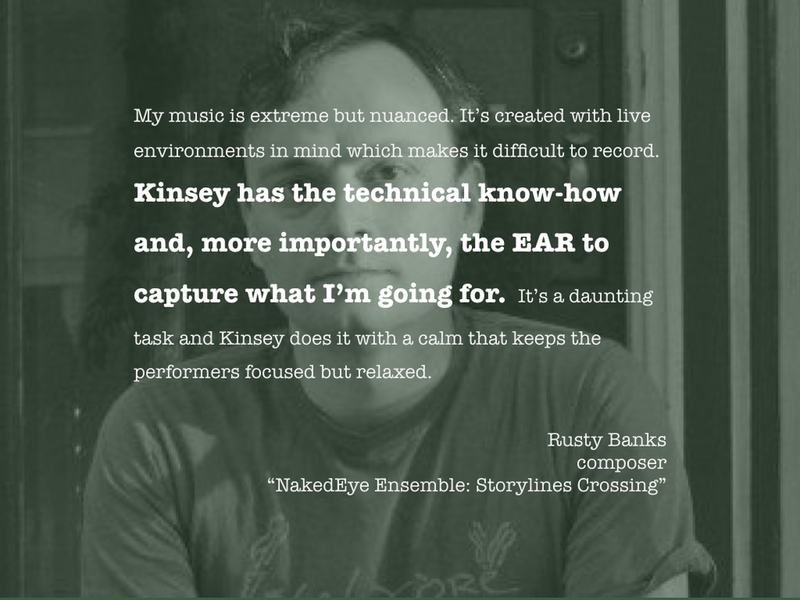 "Kinsey has the technical know-how and, more importantly, the EAR to capture what I'm going for." 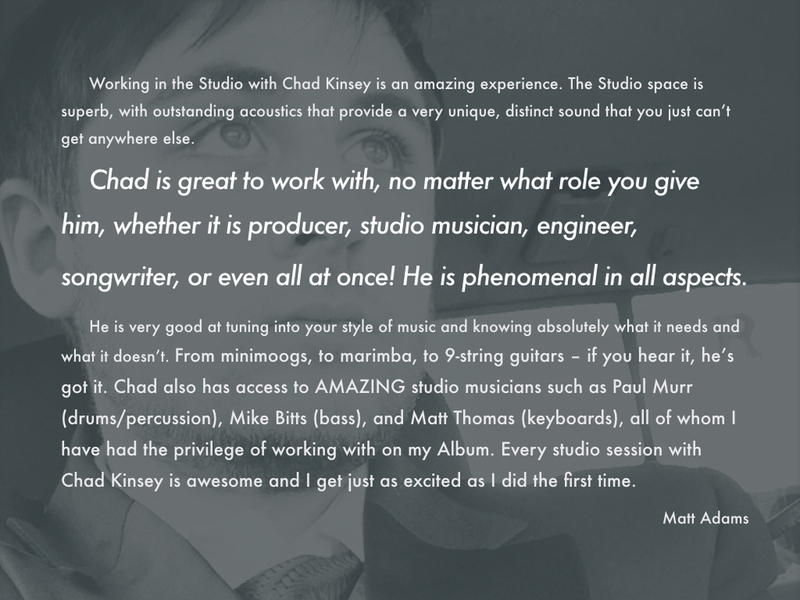 "Chad is a passionate perfectionist."